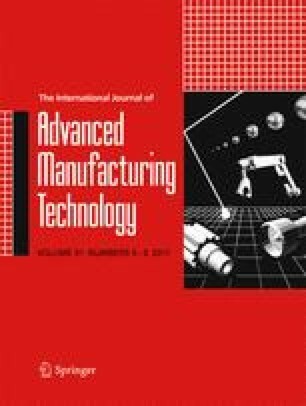 The objective of this research is to experimentally characterize the micro-end-milling process of titanium alloy (Ti-6Al-4V) using both nanofluid minimum quantity lubrication (MQL) and chilly gas. A series of micro-end-milling experiments are conducted by considering nanodiamond particles for nanofluid MQL. In the case of chilly gas cooling, the chilly CO2 gas having the temperature of −25 °C is provided. During the experiments, the milling forces, coefficients of friction, surface roughness and tool wear are analysed according to types of nanofluids and their weight concentrations. Overall, the experimental results show that the nanofluid MQL with chilly CO2 gas cooling is effective for reducing milling forces, coefficients of friction, tool wear and surface roughness. It is also demonstrated that the lower concentration (0.1 wt.%) of nanodiamond nanofluid is more effective to reduce the milling force, coefficient of friction and tool wear. On the other hand, it is found that the higher concentration (1.0 wt.%) is more advantageous for reducing the surface roughness.